It’s not the first time an internet naming competition or poll has gone horribly wrong. Who can forget Mountain Dew’s “Dub the Dew” campaign, a fun marketing ploy infamously hijacked by 4Chan users? Or that time in 2012 when Taylor Swift was nominated to perform a live concert… at none other than the Horace Mann School for the Deaf and Hard of Hearing? That’s quite the burn. Sorry, Swifties. Earlier this week, NASA requested messages from the public to beam up to Space using the hashtag #MessageToVoyager. Can you guess where this one’s headed? Yes, the internet decided – once again – to have some fun. Suggested messages, including “you up?” and “send nudes,” quickly flooded Twitter. Things got political, hilarious, and a little bit weird. And plenty of requests were given. #MessageToVoyager please don't do that 1st Star Trek movie. Wait for Khan. While open calls and internet submissions of the past may not have received the most appropriate suggestions, one thing’s for sure: If NASA wanted the celebration of the 40 year anniversary of the launch of Voyager 1 to go viral, they certainly succeeded. NASA is developing quite the online presence. 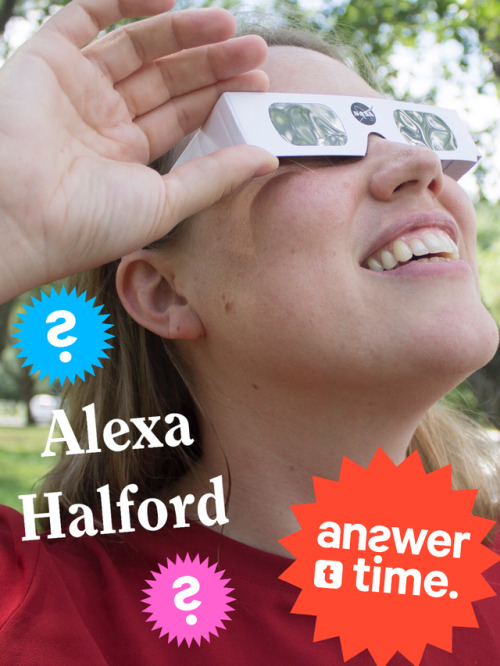 Just yesterday, Alexa Halford answered Tumblr’s most burning questions about the upcoming eclipse. The submission deadline for #MessageToVoyager may be over, but you can you can still follow NASA on Instagram and Twitter. What message did you submit to be beamed up into space? If you missed the deadline, what’s the funniest #MessageToVoyager submission you’ve seen? ‘You up?’ definitely makes our list. Kailyn is a recent Brock University grad and writer who wants to believe. ?